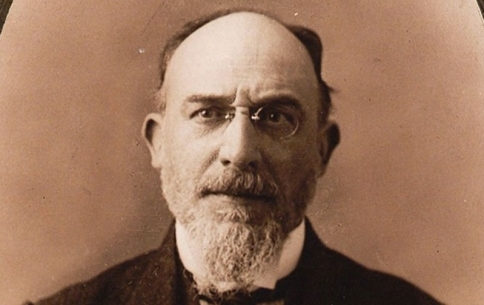 Erik Satie has given me much joy this year, as well as the welcome opportunity to write about him thanks to the convenient fact of his birth in 1866. Here’s a portion of a piece I wrote for The Catholic Herald to mark the day itself, on 17 May. In countless small ways, Satie is remembered every day, around the globe, whenever a Gymnopédie drifts over the radio or is placed on the music-stand by a student pianist. Easy to get your fingers around yet hard to capture its gentle mood, simple yet unconventional in harmony, instantly recognisable yet satisfyingly difficult to memorise, the First Gymnopédie has come to define the sound of Satie. He wrote it in 1888, and borrowed the title from the poetry of a friend, J.P. Contamine de Latour. The two young men knocked around together in Montmartre as penniless artists who conformed so wretchedly to the bohemian stereotype they even had to share clothes. The poet later said Satie was like ‘a man who knew only thirteen letters of the alphabet but who had nevertheless decided to create a new literature with only these means, rather than admit his inadequacy.’ Harsh, but fair: seven years of study at the Paris Conservatoire had left the 20-year-old Satie lacking a diploma, but possessed of a lasting non-conformist mindset and a suspicion of formal education only overcome through hard work in middle age. Late in 1892 Satie and Contamine de Latour produced Uspud, a ‘Christian ballet’ in which the set and costumes were entirely white. Like the Gymnopédies and all his early piano music, the score is built from slow, off-kilter chords. The influence of Gregorian chant on his melodies is best appreciated in the four Ogives, named after the architectural term for a diagonal arch across the vault of a Gothic cathedral. They have the same ageless solidity as the roughened granite of a Gothic pillar. Run your hand down it and feel the centuries, the craftsmanship and the weight of belief beneath your palm. I’ve explored Satie’s music for his own instrument in the latest issue of Pianist magazine. And Gramophone has done Satie proud too: my cover story looks at his music for the stage, and much more. The Cheltenham Festival will cover Satie’s music extensively in July, and their programme booklet offers another perspective (from me) on this endlessly fascinating figure. And on 14 June I’ll give a pre-concert talk at the Ulverston Music Festival to introduce Alistair MacGowan’s witty cabaret-tribute. Wherever you go this summer, don’t miss out on Satie.